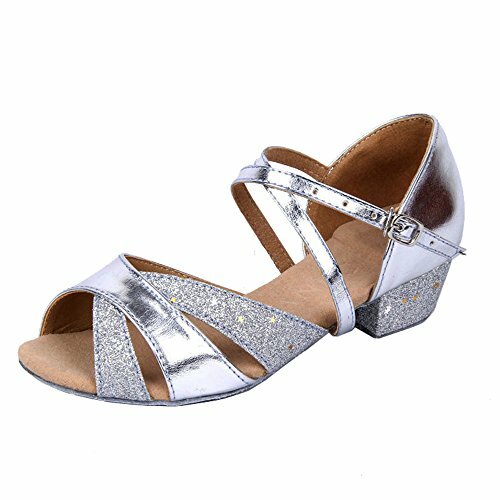 Sparkly in this cutout glittering pu leather latin ballroom dance shoes, low heeled, suede sole, will make you feel comfortable. PLEASE MEASURE the length of bare foot and compare with OUR SIZE CHART PHOTO before ordering. If feet are fat, you can take bigger size.